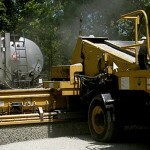 We have the experience, expertise, and technology to handle any chip seal application. 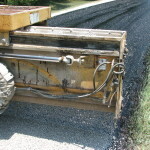 Variable width, computer controlled oil distributors and aggregate chip spreaders allow precise application over the full width of a road without a gap or overlap due to a seam. 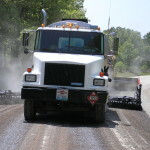 Nine-wheel pneumatic rollers are standard compaction equipment. 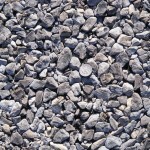 We always use the highest quality cutback or emulsified asphalt oils on the market. 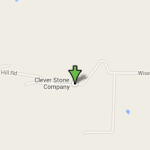 The oils always originate from trusted state approved facilities where quality is monitored by on-site lab technicians. 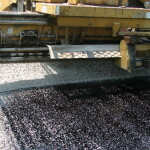 Our high quality oils maximize asphalt content on the pavement surface, and provide excellent chip retention that polymer additives offer. 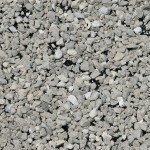 Our efficient chip seal system also minimizes loose aggregate chips that cause water drainage problems. 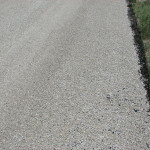 A properly applied chip seal can provide a new, highly water resistant asphalt pavement on a solid gravel base surface. 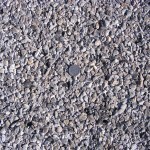 New chip seal asphalt surfaces are typically constructed on rural roads, subdivisions, parking lots and driveways as a lower cost alternative to hot asphalt.